CA$H for GOLD BUYERS St Pete FL. 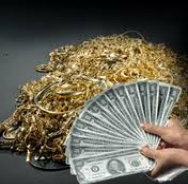 The Gold Spot pays the best price in cash for gold jewelry per Gram in St Pete FL., offering the highest prices for broken scrap gold jewelry, FREE diamond engagement ring appraisals, buyers of sterling silver flatware, best coin dealer in St. Petersburg florida paying the best cash prices for gold coins and silver coin collections, antique gold pocket watch buyers, selling a Rolex watch, we are offering the best price for rolex watches, high school ring and college class ring buyers. 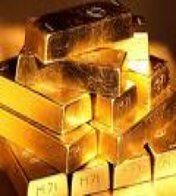 You get the highest price per gram for gold in 10k, 14k, 18k, 22k and 24K. 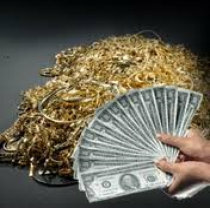 Buyers of gold wedding rings, broken scrap gold chains, gold tennis bracelets, single gold earrings, broken gold jewelry, gold wedding bands, dental gold, gold Grills, gold ingots, gold bars, silver bars and gold bullion. How much can I expect for my Gold, Silver and Platinum Jewelry? Considering the spot price of Gold, Silver, Platinum, and Palladium (precious meatals) per ounce, are in what analysts call a bull market you will recieve a considerable amount for anything Gold, Silver, Platinum or Palladium. Because of the historic highs in Precious metals we are paying the highest prices per Penny weight and/or grams for all gold jewelry and coins. Our offers are also inclusive of the best prices for diamonds in your jewelry including gemstones. Your precious metals are graded and weighted according to refining industry standards then we pay you in cash. No strings, No tricks, just a FAIR DEAL !! We pay you cash for gold. Centraly located in Pinellas County FL. serving the Tampa, St. Petersburg and Clearwater FL areas Call the professionals in business for 15 years at 727-278-0280.